How will the private aviation industry handle the changes to the European Market? Markets do not like uncertainty, and the only sure thing about the Brexit vote is that it has cast us into the first great unknown of 21st century politics and economics. How will Brexit impact the global economy? What will become of the United Kingdom? Scotland is likely to seek another independence referendum, but it’s inclusion in the EU as an independent nation is not guaranteed. Northern Ireland is also on the outside looking in, and may be impacted heavily by any travel restrictions created by the Brexit vote – will we see a united Ireland combine with Scotland to form the Gaelic Republic in an effort to maintain EU membership? The status of both Hong Kong and Gibraltar have been called into question as well. With so much left to speculate and so many questions left unanswered, many within the private aviation industry suspect that leaving the EU will be a major blow for business aviation in the UK and across the rest of Europe, but how will the Brexit vote affect private business and leisure travelers? Update: The Prime Minister of the United Kingdom, Theresa May, officially triggered Article 50 on March 28th, 2017, commencing a two-year period of negotiations that will result in their official exit from the EU in 2019. Negotiations will likely include new trade deals and rules & regulations regarding aviation, so check back for more details. While the European Union is made up of 28, err, 27 member nations, it is considered one customs territory, treating its members as a single state in the interest of free trade. 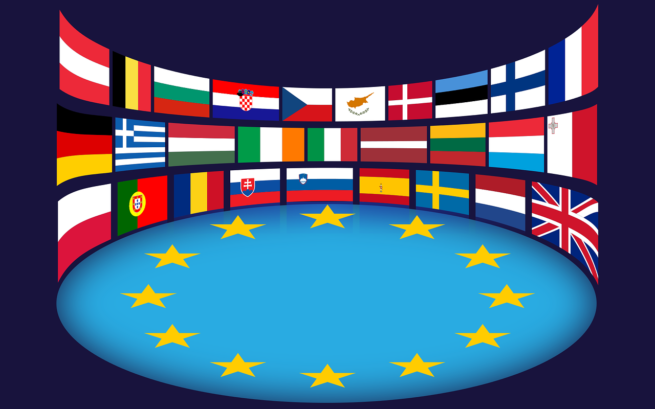 This allows for airlines and operators based in EU-member nations to freely conduct business in and out of neighboring EU-member countries without being subject to Value-Added Tax, or VAT tax, which can typically run between 15%-25%. Many citizens of EU nations also enjoy the ability to cross borders without presenting a passport when traveling throughout Europe; because the United Kingdom is not part of the Schengen area, British citizens still require a passport when entering France and Germany, but enjoy the right to free movement throughout the rest of the European Economic Area once they enter. After the global economic recession of 2007, private business aviation suffered a tremendous downturn. Because an operators aircraft and infrastructure costs remain fixed regardless of the economic conditions but home and abroad, an extended recession can negatively impact its ability to stay afloat. The wake left by the wave of recession ended up putting several private aircraft operators and charter companies out of business, and although the industry has slowly recovered over the previous decade, the industry stands at an uncertain crossroads once again. The Brexit vote has the potential to affect many business and leisure travelers within the U.K. and EU, as private flights between the regions may soon be subject to additional fees, although it remains to be seen the effects of EBAA membership will have to offset any potential impacts. For example, if a U.S. based private aircraft travels from a non-EU country to fly clients within the EU, that flight may be eligible for temporary importation, which allows relief from paying VAT. In order to be eligible for this temporary importation waiver, the flight must be flown for “private use” and not “commercial use”. Confusion arouse over whether private business travel qualified as commercial or private, and the International Business Aviation Council (IBAC) requested clarification from the European Commission on the issue. On November 23, 2014, the European Commission published a document regarding temporary importation with examples for business aviation to clarify the process. Prior to this paper, many EU countries considered private business aviation as “commercial purpose”, and subject to VAT. Some operators even went as far as permanently importing their private aircraft into an EU-member state with more favorable VAT rates. Although the distinction between commercial and private use was clarified, the Brexit vote casts a cloud over whether or not UK-based aircraft will still be considered private use, along with questions of Cabotage Rights – these rights allow for an operator based in an EU-member nation to pick up passengers within other EU nations for domestic air travel, typically short hop flights which are vital for business aviation. London is home to the highest number of private jet airports (14) in Europe – more than Paris (8) and Geneva (3) combined, and the United Kingdom will look to do everything in its available power to maintain its importance in European aviation post-Brexit, both privately and commercially. Countries outside of the EU such as Switzerland, Norway and Iceland have been able to reach agreements with the EU in an effort to establish cooperative economic framework, and we believe the UK will be able to negotiate similar terms down the road as the Brexit dust settles. Another issue brought forth by the Brexit decision is that it puts the legal status of tens of thousands of workers into question, many of which who work in the aviation industry, and other industries that support general aviation such as catering, transportation, travel agencies and more. The immigration status of many of these worker’s families also hangs in the balance while the United Kingdom transitions away from the EU. The Pound Sterling felt a sharp sting after the announcement of the Brexit vote, dropping to its lowest trading figure since 1985. 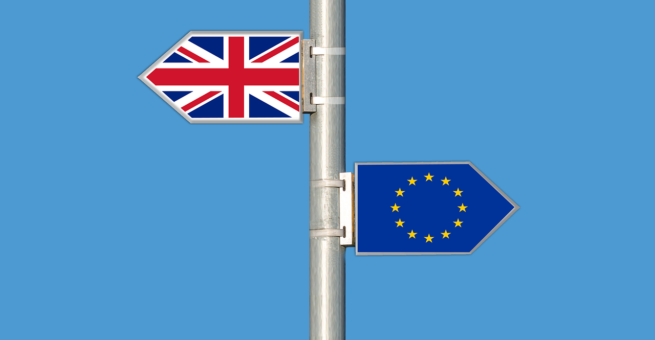 Many countries within the EU who rely heavily on the United Kingdom for trade and tourism are bracing for impact, and the effects of this separation are to be felt on both sides of the English Channel. According to Eurostat, UK tourists account for nearly 5 percent of all tourism spending (on average) across Europe in 2014. The largest Brexit impacts will be felt in Mediterranean vacation spots such as Malta (24%) and Cyprus (23%), while the United Kingdom accounted for 14% of all tourism spending in Ireland, or roughly 900 million euros. While the United Kingdom and its former European partners seek to offset this impact, there are golden opportunities for travelers to take advantage of the current market. Buying power in the United Kingdom will rise as its currency slowly recovers from the Brexit vote, and clients may find this summer to be the most cost-effective time to visit London, Edinburgh, and other popular destinations throughout the United Kingdom. Luxury destinations such as aforementioned Malta and Cyprus may also look to offer vacation packages to make-up for the potential losses in the UK market. WITH ALL OF THAT IN MIND… the Brexit vote is not legally binding, and does not mean the UK have officially left the EU. The Brexit vote was just a referendum, or recommendation, one the British government can simply ignore it, albeit at the risk of upsetting 52% of the population. Jet Charter Europe has access to thousands of private aircraft located around the world, allowing us to potentially mitigate the effects Brexit will have on our clients by offering them the most competitive quotes possible, regardless of the flight’s origin or flight crew eligibility. If you have any questions regarding business or personal private air travel within the U.K. or any other country within Europe in the wake of the Brexit decision, feel free to contact us or give us a call. Our private aviation company is available to you via phone or e-mail 24 hours a day, 7 days a week.